I am flattered by your visit and welcome you. I invite you to tack through my site for an overview of my work as a builder of Navy Board type ship models. Settled in Montbéliard, a city located at the heart of the French province of Franche-Comté, I have the good fortune to be located in this wooded region which happens to be the home of the Peugeot automobiles and is traditionnally a mecca of manual precision skills. In addition to that, it offers many tourist and cultural attractions. 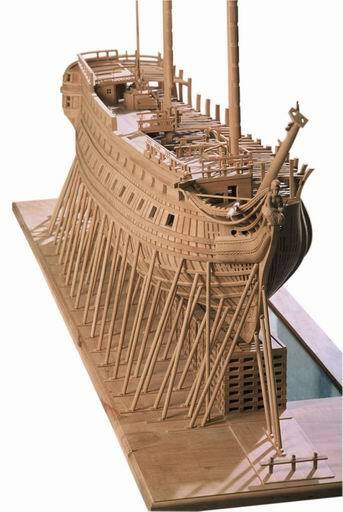 In the last 20 years, I have been pursuing research into Navy Board type ship modeling with the objective of getting as close as possible to realistic and detailed construction of ships and vessels of the second half of the 18th Century, while constantly striving to improve my skills. During your cruise, you will be able not only to get aboard 5 types of vessels, but also to get acquainted with my activities at the "Grand Pavois" at the port city of La Rochelle as well as my work as a restorer. You may also take this opportunity to improve your nautical knowledge of the models being presented. I wish you a fair wind and hope to see you again soon.